A gypsum board wall that moves??? The Board Room for a Fortune 1000 company. 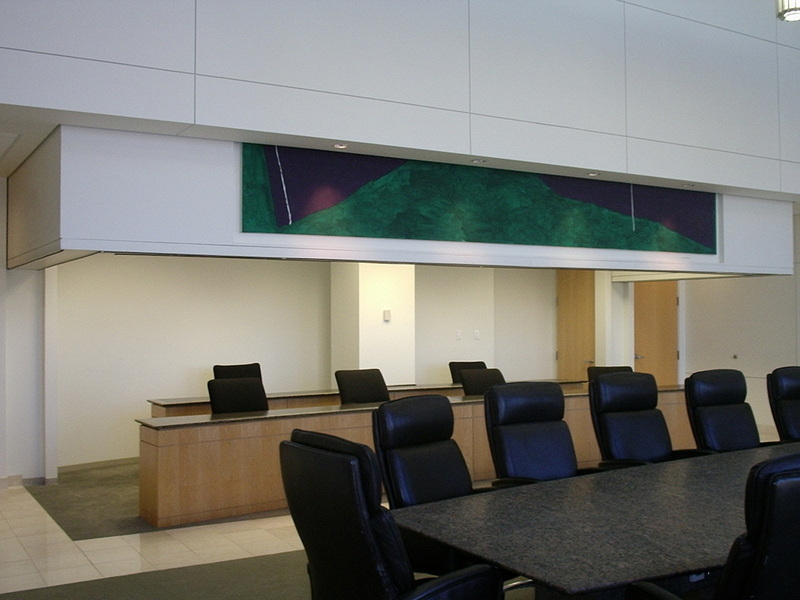 The wall moves to reveal a "jury box" that is infrequently used and remains hidden most of the time. During reporting at board meetings, the jury box is open for interaction between the staff and the board. A stage set design firm from Manhattan was hired to come up with the engineering for the movable wall with artwork on board for the ride. *Project created by current staff of W5 DESIGN during employment at previous firm.